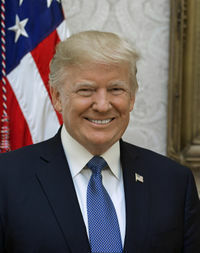 This is the current revision of Donald Trump as edited by 1990'sguy (Talk | contribs) at 15:50, 14 April 2019. This URL is a permanent link to this version of this page. This page has been accessed 352,373 times.